I’m rion smith, and this is my site- my place to say what’s on my mind, and share with anyone who’s interested, all the different aspects of my life. I’m currently a full-time drummer for Blue Man Group Orlando. So this is the place I hope to share bits and pieces of all these things, and where I feel like I can take some time and get deep with the stuff that’s on my mind- life, drums, philosophy, family, and how all these things somehow come together to make up my life. Part 2 of this series. Here I’m confessing a big part of my story, and how it relates to fear. This confession is not me being hard on myself, but simply trying to own my journey so far, so that it doesn’t own me. By recognizing where I’ve acted from a place of fear, I begin to see the solution to overcome this part of my fear. This is the first in a video series where I’ll be talking, not playing drums. But, I’ll be talking about playing drums (a bit), but more than that, talking about the process of overcoming my own fears as an artist- it’s a hairy beast, fear, and can cripple even the best artists… but I believe that by talking about it, we can get better… so, watch this vid, and let me know what you think! Bali for yoga, NY for Rhythm, Sound, and Magic! By the time I went to Japan, for this last trip in April-May of this year, I knew that I would be full-time with Blue Man in July. So, of course my wife Yuki and I talked at length about what this means, how good it would be for us as a family, and how much of a change it would be for me, as far as my relationship to my time. While I was part-time at Blue Man, I was almost completely in charge of how I used my time. Blue Man would approach me, and ask when I was available for the coming month. So, if I had other gigs, or wanted to take a trip, or whatever the reason, I could make myself ‘unavailable’ for said dates. It allowed me the freedom to take month-long trips to Japan, or have out of town gigs with other bands whenever I wanted. As a full-timer, I will be much more on their schedule. Any time I want to take off will be very official, and there will be paperwork involved, as well as a limited amount of time off available. This is just the reality of the situation. I’m entering into my full time work with Blue Man very happily and gratefully, but also aware of what it means to how I use my time. The truth is that my relationship to my time will be very different. So, while I was in Japan, and talking over these things with Yuki, I mentioned how my Yoga teacher was leading a yoga retreat to Thailand very soon, and how much I would love to do it. To my surprise, Yuki actually encouraged me to go for it! So I immediately began to look into it, only to realize that it was happening just after I started full time, so I would be unable to go. But I still had it in my mind- it sure would be good to go and deepen my yoga practice before beginning my full time work, which will be physically demanding, and I will very much need to keep myself in top physical shape to ensure that I can do this for many years to come. So I looked around for other possible yoga retreats, and thru some searching found a place called Samadi Bali that is a year round yoga shala that offers yoga/wellness retreats that include a room, breakfast/lunch, unlimited yoga, Balinese massages, a few other therapy sessions, and a consultation session to tailor the retreat to my needs. I was also drawn to this place because of their emphasis on Ashtanga Yoga, which is the style that I’ve been practicing for over 2 years now, and has given me more benefit than all the years prior in which I had dabbled in different yoga styles. While I was still in Japan, Blue Man Orlando was emailing me to ask what my availability was for June. So I needed to book this trip, and work out all of the details quickly, which I managed to do. I returned to the States, and began preparing to go to Bali…. In the meantime I received an email from Billy Martin’s (from the band Medeski, Martin, and Wood) mailing list, talking about his Rhythm, Sound, and Magic workshop/ week-long camp that would be happening just after I returned from Bali on June 16th. I was booked to play at Kevin Maine’s CD release party on June 17th, where I would open with Hannah Harber & the Lionhearts, and close with Shak Nasti, and Blue Man had booked me for one show, on June 18th, then not again until June 24th. The Rhythm Sound and Magic Camp was June 19th thru June 23rd. It just might work. It seemed that this window of opportunity had presented itself. I had just dropped some pretty coin on booking the yoga retreat, but for years, I had seen the camps that Billy puts on, and had always wanted to go. Should I do it? Could I? I knew that I wanted to…. Logistically it was a bit crazy, because the transportation to and from was pretty mysterious…. Just fly into NYC, and somehow get to the NYC Port Authority bus terminal, then there was a bus from there that would take me to Big Indian, NY, and somehow get picked up to get to this place called the Full Moon Resort. Well, I hesitated, and milled it over in my mind, and, even though it wasn’t cheap, I decided to go for it. I wasn’t sure when I’d have the opportunity to do this again, so I better do it while I can. So far, I haven’t posted anything from either experience. I made a conscious effort to experience both things as much as possible, and not to get tangled up in posting to social media. I knew my life would slow down a bit once I returned, and before full time work started up in July, so I figured I’d do it all then (which is now). So, for the next few weeks, you’ll be seeing me post pictures and videos from Bali, Indonesia, and then from Big Indian, NY. But, I’m not in either place. I’m here in Orlando, posting some not-so-insta Instagram posts- but, at least for me, it was well worth the wait. This is a little vid I made quickly in my backyard… I had filmed some other stuff that day, and wondered about doing a little duet with myself- so this me on one kit that’s a 14″ snare, and 18″ kick, and a smaller kit with a 10″ snare and a 16″ kick. This is a project that my 6 year old son, Taiyo, and I decided to do while we were together in Caldwell, Idaho. I was there to be with my father in his final days, may he rest in peace, and Taiyo was there with me for a month, before he left to go to Japan, where he is now attending elementary school. We used LEGOs that Taiyo had mostly gotten for late Christmas presents, and because Grammie loves to spoil him, as a Grandmother should! While there, we watched Big Hero 6, and Box Trolls, and those films got us fired up to make our own movie. Originally I thought it would be about a 5 minute short movie, but it took on a life of it’s own, and became twice that long. 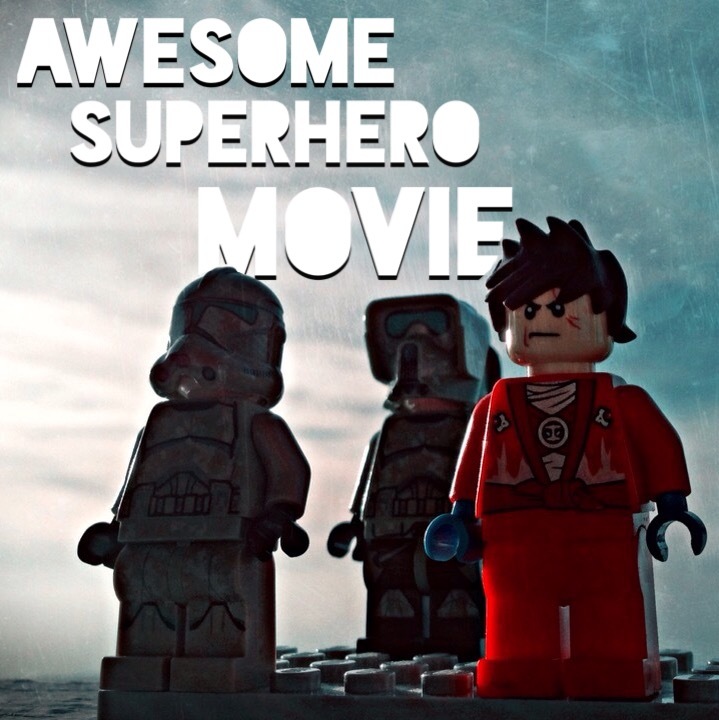 It began with talking about the concept of a “becoming superheros” movie. They needed a reason. With our imaginations leading us, and a bit of focused direction, we quickly had a basic outline of the movie. From there, we did some rough story boarding, and determined what sets we would have to make, and the basic vibe we wanted for each scene. We began some early stop-motion tests, and watched some tutorials online for “brick films” (I guess that’s what they call LEGO stop motion animation films). We built the first set- the mountain scene, worked out our lighting, and got to work. The rest was learning in action- each day we would shoot some scenes, and at the end of the day, I would make rough edits for what we had shot that day. So we were learning what was working, and what wasn’t. Then we had some dialogue to shoot, and so had to figure out what each character’s voice was. Taiyo wanted to do the voice of Golden Claw, and that was it, so it was up to me to come up with the voices for everybody else. He helped in the development of each voice, and would tell me when I was getting it right. I had a lot of fun using the ‘pitch up and pitch down’ features on iMovie for iPad, which, by the way, this whole thing was edited using only my iPad. While I was definitely finding out what it’s limits were, I was very surprised by what you can do on that little device. Very quickly, it was time to take Taiyo to Seattle where he was going to take his first solo flight to Japan. This meant that all of the stop-mo and Taiyo’s dialogue had to be done! So our shooting schedule got a bit intense towards the end. But we made it. Taiyo flew to Japan, and I was left with a bunch of little scraps of film that we had cut, and a whole lot more work to do. We were getting ready to sell all of my dad’s tools, and I thought it would be cool to record the sounds of all of his tools to use as sound effects in the film, so I went into the garage, and did just that. A lot of the sound effects that you hear in the film are dad’s old drills, table saws, grinders, chunks of metal, boxes of screws, and whatever else I could make sounds out of. The rest of the sound effects were done in my house here in Orlando, and having this all on my iPad meant that I could just cary it around the house with me, and use the sounds in whichever room sounded the best. It was a really fun process for me to do the foley work like that- finding sounds to match the film was great fun, because my world is sound, and I feel like I have a knack for doing this stuff. Then came the music. The theme song for this movie is the first actual song that I’ve ever written. And yes there are only about 5 words to the entire song, but it was pretty thrilling to come up with a melody, and then chords, and send off a demo version with my horrible singing to Matt Bloodwell only to have him send me back some killer vocals that I could then add to the track that I had been working on in the mean time- and play live drums to- (yes I realize this is a long ol’ run-on sentence, but that’s what the process felt like) – and come out on the other end with a track that I think sounds close to pro, and like it could actually be a theme song for a TV show or something! I can’t tell you how much fun I had. And the other tracks just kind of came together as well- it was really cool having a movie to score like that, and of course, I’m the director here as well, so nobody’s going to tell me that it wasn’t right! I also video recorded myself playing drums along with the theme song, and the segment I call: ‘BeSuperher0s’, so I’ll be making videos of that for my youtube channel. The last track “SuperFreeky” is a play on the song, “I fink u freeky” by Die Antwoord. I changed it around, and kind of made it my own, but if you hear the original, you’ll see exactly where the main line comes from. I’m not going to claim that I just made that one up out of thin air, and I’ll just call it a ‘parody’ of the original. I also had a lot of fun doing that track. Doing the whole thing pitched up as Kenji, the main character in the film, was really fun. It allowed me to get out of myself a bit, and take on this other persona, which was a blast. Overall, I probably spent waaaaaaaay too much time on this whole thing, but I don’t regret any of it- I’ve learned so much along the way, and had a blast doing it. It’s been really fun showing this to different groups of my friends and co-workers. It’s interesting to see how different people find different parts of it funny. 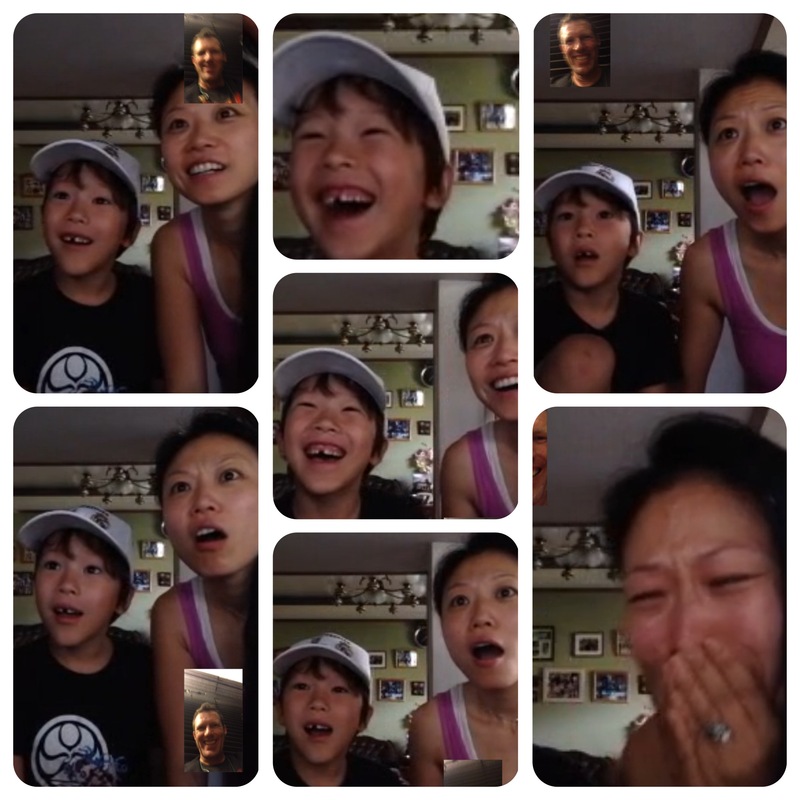 The first time Yuki and Taiyo saw the whole thing, I was on Skype with them, so I got to see their reactions to the whole thing- that made it all worth while. The Stevie Story- The Boomerang Effect in Costa Brava! One of the Sundays that the EPIC pulled into Barcelona, Members of the Legends in Concert show, the Cirque Show, and a few from Blue Man, including myself met a privately chartered bus in the parking lot of Terminal A. Stevie, from Excursions Barcelona (pictured above, second from the Left), met us in the parking lot. An outdoorsy-type with a British accent, Stevie was easy to get along with from the start. 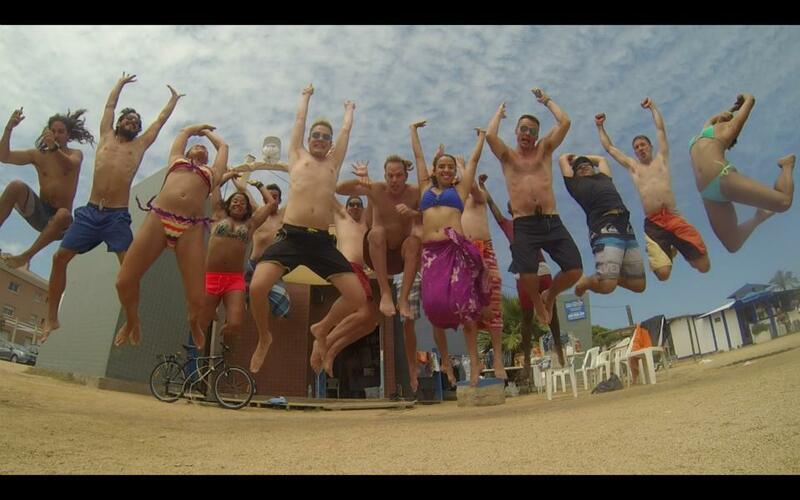 The group was in good spirits because we were heading to Costa Brava for a Kayaking and Snorkeling Tour.